Gearbox and 2K have announced plenty of Borderlands 2 news, including the unveiling of a new Vault Hunter for players to enjoy. 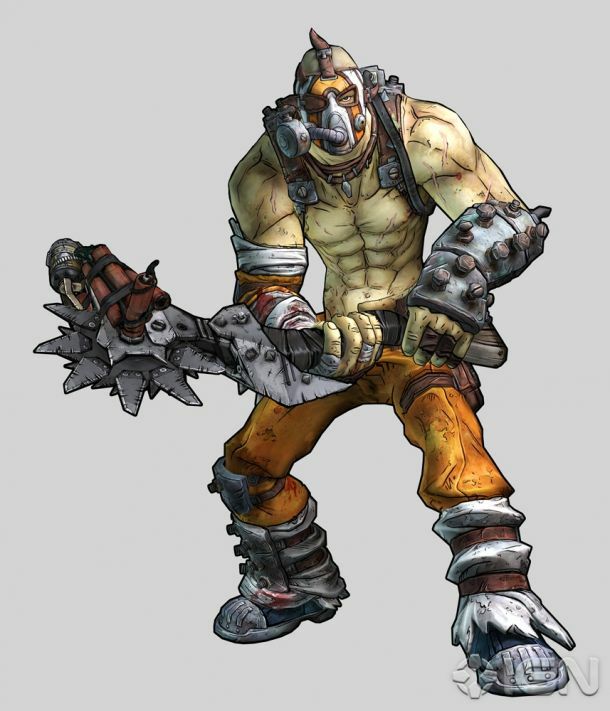 The new character, a bandit, is named Krieg and he will wield an axe and toss dynamite happily at enemies faces. Besides an entirely new playable character comes an increase to the games level cap as well as the announcement of the next downloadable expansion for the title. The increase to level cap will cost $5 and also bring with it new high level gear. The next expansion was teased with a trailer showcasing Tiny Tina playing a game of Bunkers & Badasses, the Borderlands universe version of Dungeons & Dragons. If the next expansion will see our Vault Hunter within the board game, that could be super cool. Are you excited to get more content for Pandora or are you done with this universe? Previous Previous post: Square Enix sells millions, fails.